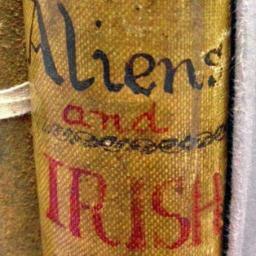 The Department has just completed a project on the Easter Rising of Irish patriots in 1916. 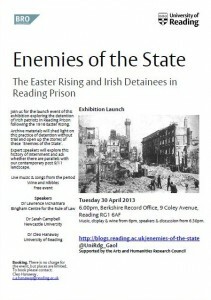 Led by Professor Peter Stoneley, and funded by the Arts and Humanities Research Council, the project focused on the notable Irish detainees held in Reading Prison. It also explored comparisons between the internments of 1916, and counter-terrorism measures used in the present day. This entry was posted in Department of English Literature news and events and tagged AHRC, Berkshire Record Office, Department of English, Department of English Literature, Enemies of the State, English Department, English Literature, Professor Peter Stoneley, Reading, University of Reading. Bookmark the permalink.